You can now access most of (always developing) the functionality of the full basa website via your Mobile Phone. The Mobile Web site has been updated and optimised for the iPhone and other smartphones, so it should offer a consistent and usable experience via mobile web browsing. If you have any suggestions for additional things you would like to see on the mobile edition (or the main website), please let me know. If you have an older (non smartphone) phone, there are still two options available that will give you some of the mobile experience on your phone. The mobile code is a new style of barcode that allows you to utilise custom software and your mobile phones camera to capture and scan the barcode. The software then (depending upon the barcode) will dial a number, send an SMS, display some text, add a contact card or goto to a Web Page. Ours shown here, will take you to the BASA Mobile Phone Home Page. There are two main standards - Data Matrix and QR Code. The Kaywa Reader will read both types. You can also create your own codes & images. 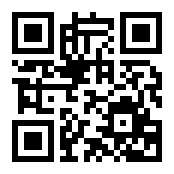 iPhone users can download the FREE Telstra Scan Code utility from the Apple Store. 4 Guests Online and 2940002 visits since 25 July 2006.